A new investigation into the actions of the US and Western countries to restrict the work of Huawei in their markets. Washington has banned 5G to buy equipment from Huawei for mobile networks because of fears of transmission through the base station traffic in China to listen to. A similar ban was introduced by the UK and Australia. 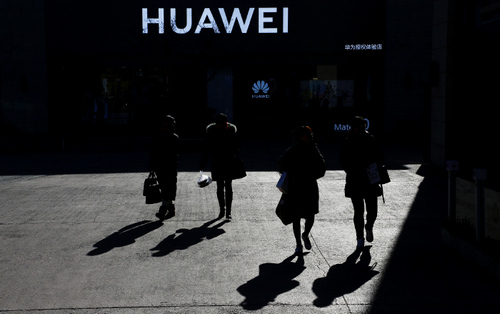 This week the company’s products was banned in Taiwan because of suspicions that Huawei might incorporate into their products capabilities for surveillance on behalf of the government of China. American authorities also used indirect leverage over China: the daughter of the founder of Huawei CFO Meng Wanzhou accused that her knowledge of Huawei violate the export embargo on American products to Iran. In December 2018, it was delayed in Canada. However, China has learned to defend himself. Amid the detention of a top Manager of Huawei in China has arrested former canadian Ambassador and employee of non-governmental Fund of that country. After 10 days the man Wanzhou was released on bail. In the technological sphere, Beijing is responsible on charges of stealing technology a ban on the supply of goods those American companies that filed charges in the United States. For example, according to an investigation by the us authorities, a Chinese manufacturer of memory cards JHICC for several years was engaged in deliberate theft of American technology. In China, JHICC were able to achieve a temporary ban on the sale of memory cards the American company ViewSonic. In December at the G20 summit in Argentina, a meeting was held between the President of the United States Donald trump and the head of China XI Jinping. They agreed to try to conclude a new trade agreement between the countries for 90 days. If this does not happen, the US President intends to raise tariffs on Chinese goods from 10% to 25% (overall it would cost China $50 billion). However, even after agreement has been reached “war” continued, have arrested a man Wanzhou. China has less capacity to impose tariff restrictions against American exports of goods as U.S. exports to China are relatively small. The increase in duties on goods from China will lead to increased cost of production of American manufacturers, since they purchase components from Chinese suppliers: for example, the sanctions will affect the consumers of American products Apple — iPhone assembled in China from components produced locally. Can Apple to abandon the Chinese technologies or to move the Assembly in the United States? Talk about going the first year. Donald trump strongly pushing for such a step, Tim cook, however, this can lead to a sharp increase in the prices of the Apple smartphones, and the financial statements of the company saying that in quantitative terms, its sales are falling at current prices. Chinese sanctions against the United States will suffer not just Apple: the 20 largest American companies such as Starbucks and Intel’s annual revenue in China is about $158 billion “Closing” of China can significantly hit them.